Our yard is almost always well-trimmed and weed free, but the landscaping was lacking for the first few years that we lived in our home. Since hiring a professional and spending a small fortune, has never been an option…I’ve learned a few tricks over the years. You don’t have to pay a landscaper to come in and redo everything! There are so many ways to get the yard you’ve dreamed of without spending a fortune. Here are just five tips for landscaping on a budget. If you find yourself planting flowers and ornamental grasses each year, and watching them die, you could be choosing the wrong plants. You want to carefully look at the tags on the plants and flowers you’re buying to make sure they will do well in the areas you’re planting them. For example, if your side yard is sunny throughout the day, choose plants that require full sun…I’ve learned this lesson the hard way! This can be a bit confusing. Annuals only last for the season. When they die, they do not come back the next year. Perennials come back year after year. This makes them a much more budget-friendly option. For example, tulips, lavender, and peonies are all perennials. 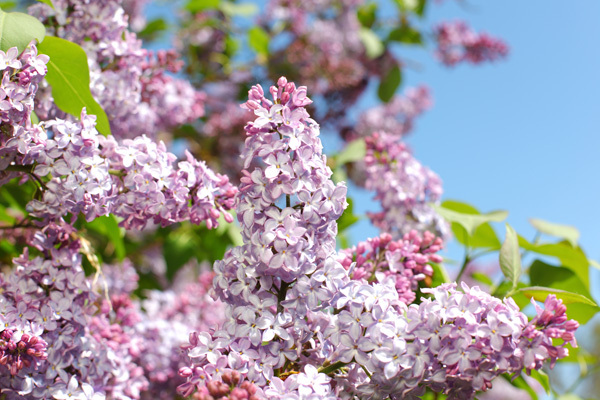 You can even choose flowers that bloom at different times throughout spring and summer so that your yard always has something beautiful in bloom. I’m a sucker for fresh flowers, so I like to have plenty of options available! TIP: Buy plants in the clearance section. They might not look the best at that moment, but if there is still some life left in them, they can turn into hardy plans with a little care. If you want to keep things simple, try creating a pattern in your backyard with concrete pavers. You can place them an equal distance apart for a checkerboard pattern or you can use different colors of pavers to create a gorgeous design. It just depends on how creative you are. Another suggestion is to artistically place large planters around your yard. Large planters offer a stunning visual effect. When you price rubber mulch compared to regular mulch, the price will be higher. However, rubber mulch can last for years and years. With regular mulch, you’ll need to replace it each year. Rubber mulch is a great recycled product that is safe enough to use in playgrounds. It can also be found in almost any home improvement store. However, buying in bulk will save you even more money. Last, but not least, if you want to fill part of your yard with hardscape, gravel is a great option. Gravel is so much cheaper than pea gravel or river rock. You can have a dump truck load brought to your home for $100-200, depending on where you live. With pea gravel, you can pay as much as $3 per square foot. A beautiful yard doesn’t have to break the bank. There are so many things you can do to make your yard beautiful while on a budget. Whether it’s using gravel or choosing perennials, you can use these landscaping tips to create a gorgeous yard that lasts for years. I never thought about rubber mulch! That’s a good idea that also saves a lot of labor down the road too! Ya rubber mulch is awesome. Been using it awhile myself now and love it. Hey Angela. I really enjoyed reading this post. I definitely agree that selecting the right plants for each area is an important consideration to keep in mind. Thanks for the little tips! I loved these tips! I liked how you explained that mulch needs yearly maintenance, while gravel looks great for a long time. I also appreciated that you touched on different types of gravel and their general price range. I read somewhere that having gravel in the yard might help to discourage burglars, because the sound the gravel makes could more easily give them away, and therefore staves them off. This was helpful! Thank you for the tips! 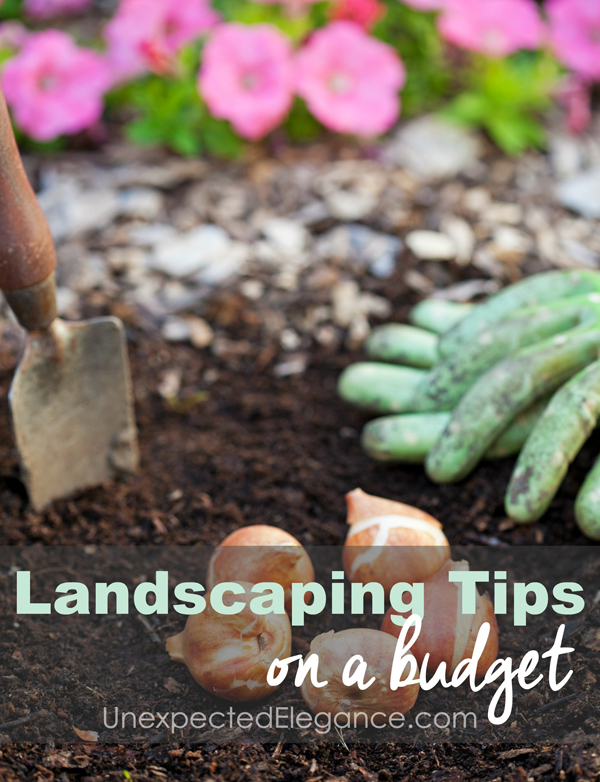 This is a really cool post about landscaping on a budget. It is truly a landscaping tip that everyone can learn from is to always make your yard one that will look great at any time of the year.